Our traditional black and tan Airedales are large to extra large in size. AKC registered, Kateybug (left) is the great granddaughter of Ch. Blackjack's Double Down Danny. 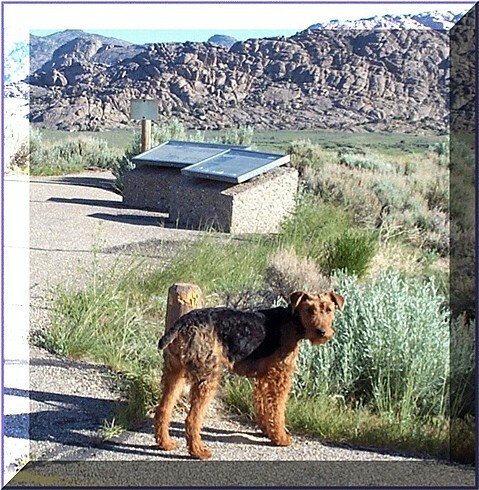 He may be traced along the paternal line to Airedale Jerry, purportedly the first Airedale in the U.S. Kateybug is retired and remains with us as a housepet. Black Magic on the Black Airedales page is her son. Miley, photo below and at bottom of page, is her granddaughter (Magic's daughter). 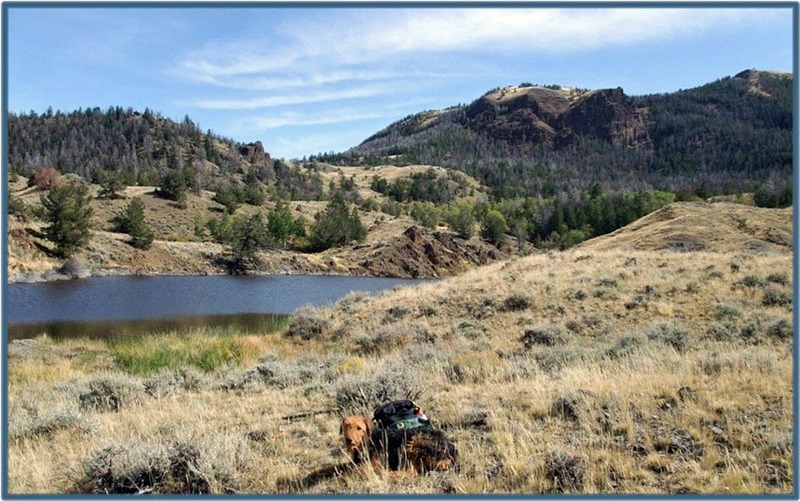 Photo below of Miley on Carter Mountain in the Absaroka Mountains of Shoshone National Forest. 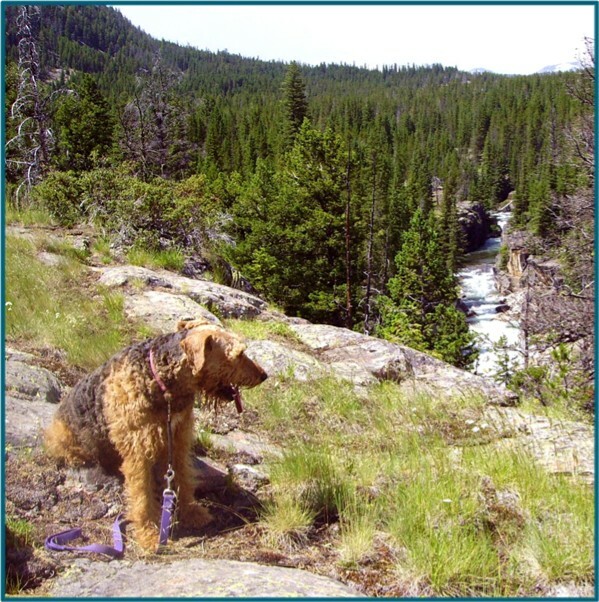 Our large Airedale, Fancy Girl, standing by creek amid the Beartooth Mountains in Shoshone National Forest. Weighing about 80 pounds, she is a spayed and retired house pet. A traditional black and tan Airedale, she is the great-grandmother of Black Magic and Tonka Truck's grandmother. She is also Miley's great-great grandmother. 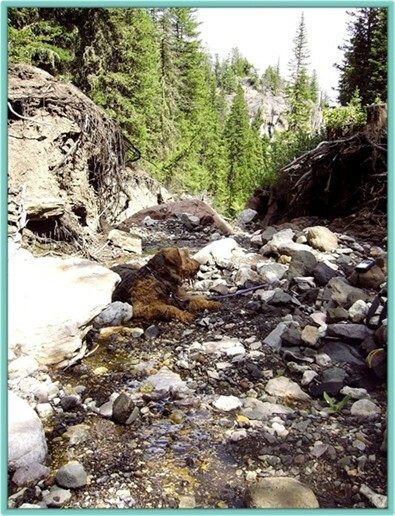 Tonka may be seen on the Red Airedales page. 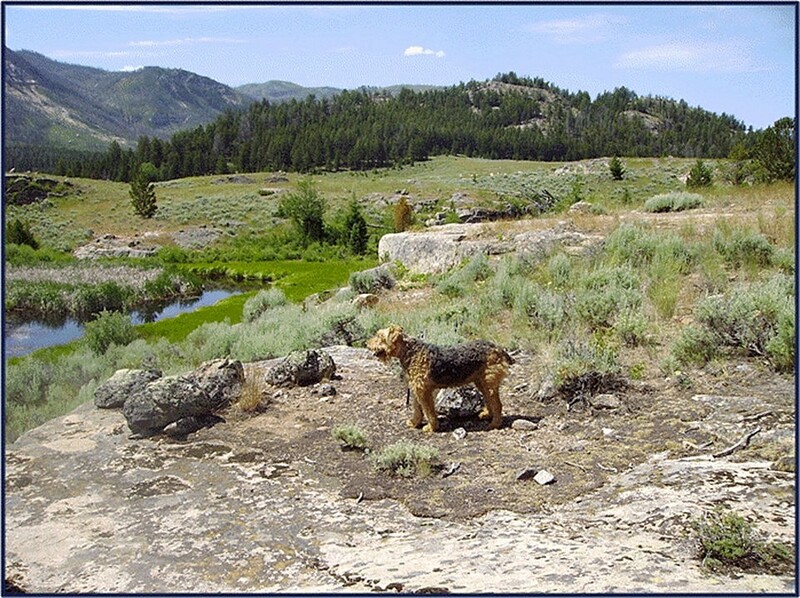 Photo (below left) of our Airedale Fancy overlooking Clarks Fork River Canyon in the Beartooth Mountains (northern Wyoming). Fancy (below right) laying in nearly dry creek below on a warm summer day. 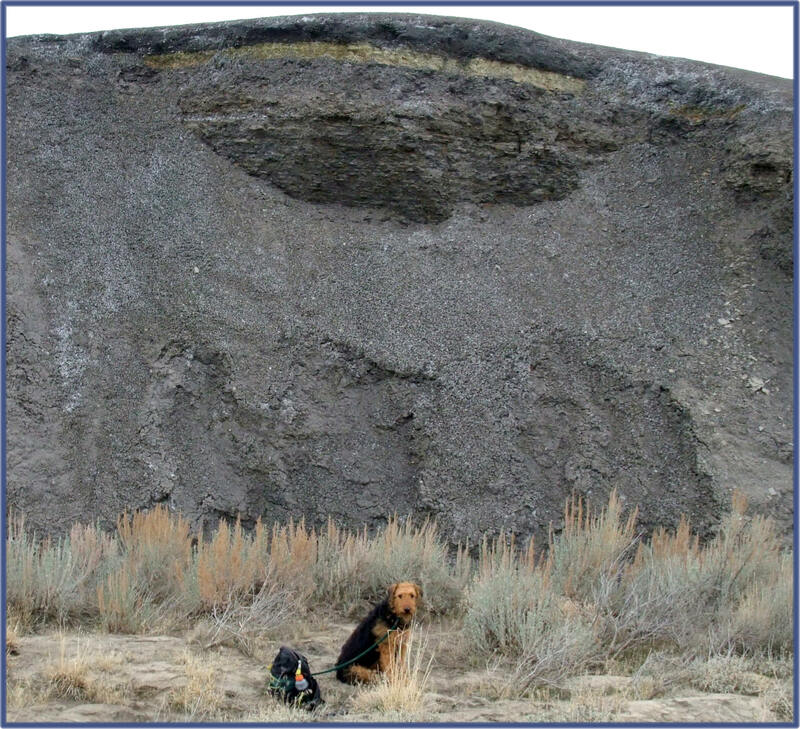 Photo (left) of Miley in Black Gulch amid northwest Wyoming's extensive network of bentonite mines. Quite agile, Miley also possesses an easy to maintain coat and has never been trimmed. She very rarely picks up any burs, twigs, etc. in her coat in the field.